Fantasy Film is a book written in the light of certain theoretical preconceptions, one of whose tendencies is to eschew the notion of theoretical preconception. 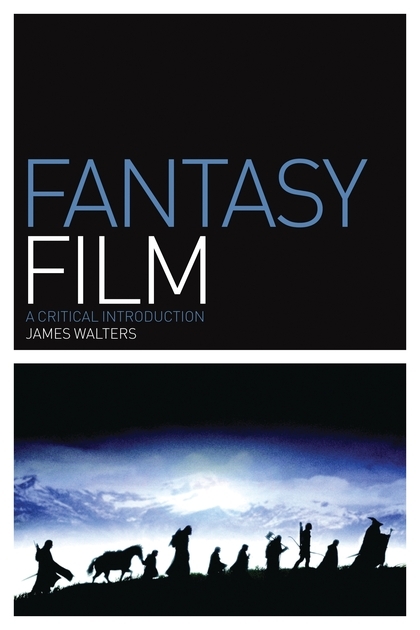 Basic to Walters’ account of fantasy are notions of film form deriving from the work of V.F. Perkins and Robin Wood, amongst others, writers associated with the journal Movie, together with critics whose positions can be aligned with those of that journal, such as George Wilson and John Gibbs. Other figures invoked are Bazin and Cavell. In addition, the opening chapter gives consideration to Todorov’s The Fantastic, with special reference to the ending of Lang’s You Only Live Once (USA 1937). Walters’ procedure is to give close analysis of passages from certain films, such as Letter from an Unknown Woman (USA 1948), Bigger than Life (USA 1956), and works by Minnelli, and by so doing attempts to embody the thematic concerns of his book in specific, one might say, concrete, even pregnant, moments of the stylistic workings of his chosen films. At certain points, however, Walters does offer a more general, even abstract, account of what he takes to be central to his approach, for example, the ability of style to create effects of coherence or what Wood calls “the internal relations that give a work its structure”. What Walters is after is an understanding of the complete work that “is intrinsically dependent upon the style in which certain details from a fictional world are portrayed for us, and so the particular and the general become inextricably related” (114). This is what John Gibbs terms “organicism”, where the relations between the parts and the whole is taken to be “natural and mutually beneficial rather than being too obviously constructed or nugatory”. This is emphasised time and again, as when Walters insists that film-making skill is inseparable from bringing about a seamless unity between parts and whole that can only be described as organic. The achievement of coherence or organic unity within a work of art is, for Walters, the artist’s most significant achievement, the criterion by which major work is to be judged. This criterion is not, of course, external to the work in question, but ‘internal’, and thus specific, unique, to it. The purpose of the book is, I would be inclined to say, twofold. The first, which is made explicit, is to give a certain account of fantasy in cinema, based on ideas including those I have noted briefly above, with examples from Watership Down (US 1978) to Lord of the Rings (New Zealand/USA 2001), amongst many other films, examples that exclude, however, what are usually thought of as works of horror and thus fantasy. Thus no films by Romero or Cronenberg, or by directors such as Argento or Fulci, are addressed. The second, which is not averted to as such, is to give an account of cinema at what one might call its neuralgic point, fantasy, without reference to any of the once prevailing ideas on which academic film study was based, semiotics, formalism (cf. Bordwell in this connection, whose exposition of the disjunction between story and plot might provide problems for organic notions of narrative presentation), cognitivism, and, most notably, psychoanalytic accounts of the subject. This latter omission means that there is no reference at all to Freud, Lacan, Laplanche, Pontalis, Žižek or Dolar. None of these names appear in the text or bibliography. One name that does appear, however, is that of Todorov, which acquires a somewhat peculiar resonance when set beside the names of Perkins, Wood, Wilson, and so on. Walters focuses on what is usually taken to be Todorov’s main thesis, that dealing with the relation between the marvellous and the uncanny (not understood in Freud’s sense, of course). Works of the fantastic, like The Turn of the Screw, are constituted by a hesitation between the two terms, a hesitation that may or may not be resolved by the end of the work in question. In James’ story, no resolution is decided on. An example from horror cinema, not discussed by Walters, is Romero’s Martin (USA 1976), which again provides no resolution, leaving the relation between the possible readings of the narrative action similarly undecided. What Walters does not discuss, however, is the final chapter of The Fantastic, “The Modern Fantastic”, where Todorov considers Kafka and, more especially, the writing of Maurice Blanchot. Blanchot opposed the idea of narrative unity with the concept of a different order of text, the récit, exemplified by certain writings of his own, as well as the novels of Kafka and the poetry of Celan, where what is said is not distinct from the saying of what is said: where the writing is not distinct from the taking place of that writing as writing. One might say that what the writing presents is a mode or procedure that brings about a ceaseless merging with its own reality as writing, a merging that at once justifies the writing and is in turn justified by it. Rather in the manner of a Moebius strip, writing of this order turns back on itself in an act of self-alienation that is an undoing or, as Blanchot has it, un-working, of itself, an un-working that makes nonsense of the idea that any text, whether novel, film or poem, so understood, could be possessed of organic or ‘seamless’ unity. To echo Lacan, representation here represents the lack of the function that engenders it. One film that manifests this procedure with uncanny precision is Lang’s You Only Live Once. As Walters’ own analysis suggests, though he does not develop the thought, the film’s ending ruptures the film’s narrative drive so as to open the narrative of which it is the ending to the possibility of cinematic narrative as such. The crucial issue raised by Walters’ work, and which emerges only at the point of breakdown of his close and extended analyses, is not fantasy, but the modern fantastic.